If you are in search of quiet, comfortable accommodation that offers the best of the tradition and elegance of Opatija's historic hotels, you will love the new features and improvements in the 4-star Remisens Hotel Palace Bellevue. In spring 2016, the Hotel Palace Bellevue will become part of the renowned Remisens brand and will operate in line with its guidelines, which guarantees high quality services and facilities. The renovated and upgraded hotel will welcome you with refurbished rooms and communal areas, and a new wellness centre. New features also include a renovated indoor pool with heated seawater, a whirlpool, and the new Relax Zone. Finnish and Turkish saunas will also be at your disposal. 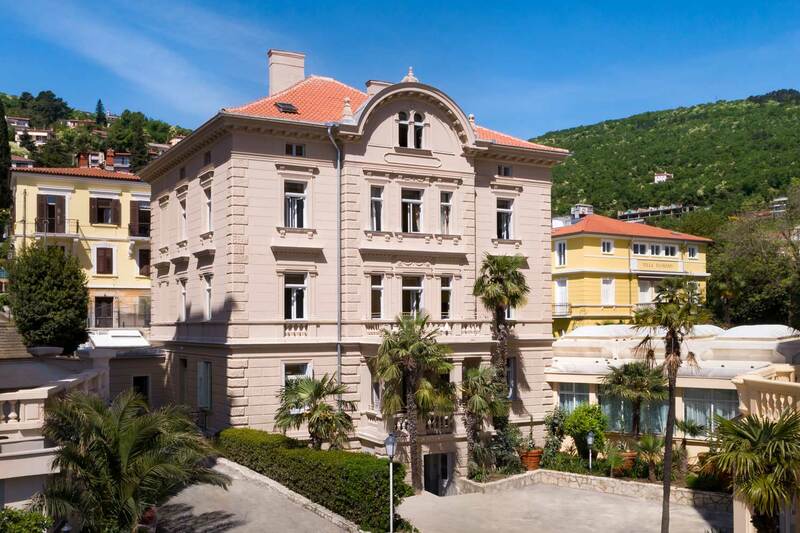 For guests who recognise Opatija as the perfect place for successful business meetings and get-togethers, the Remisens Hotel Palace Bellevue will offer a large congress hall, two smaller rooms for meetings or presentations, and an exhibition area. Due to its unique position in the centre of Opatija and the incredible views of the blue Adriatic from the balconies of its rooms and apartments, the hotel will provide a completely new dimension of holiday comfort. The Remisens Hotel Palace Bellevue prides itself on its unique blend of historic architecture, neo-baroque decoration and modern comfort, and the new freshness of its interiors and exteriors. The story of the Remisens Hotel Palace Bellevue started back in 1891, since when it has hosted many famous guests. The hotel building rises above Opatija's main street, and its attractive dancing terrace is a popular venue for numerous musical performers. Discover the beauty of Opatija and be among the first guests of the refurbished Remisens Hotel Palace Bellevue!